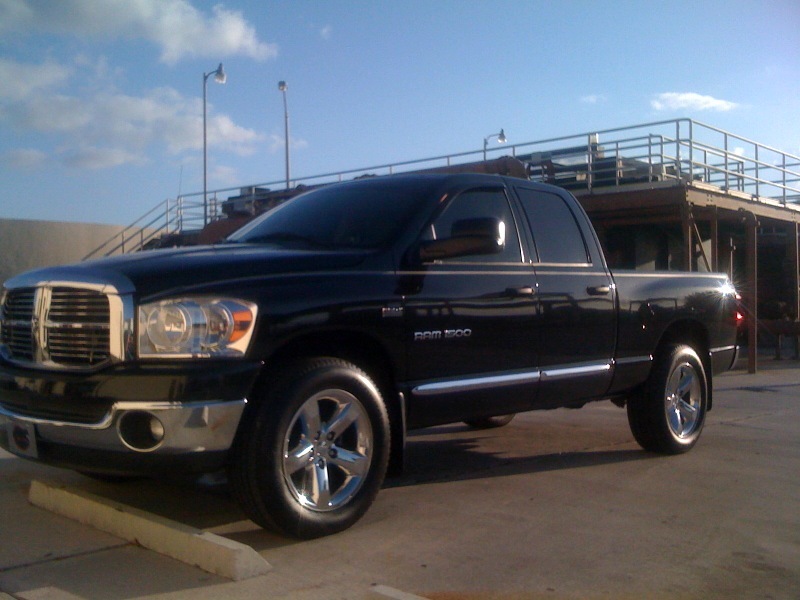 Hey all, I bought a black 2007 Ram 1500 SLT Quadcab Hemi 5 months ago and I love it. It's my first Hemi and first REAL dodge. I've been a member on LS1Tech for 8 years and just saw that they have a relationship with Modern Hemi forums so I figured I'd join up here too. Attached is a pic of the truck in the early morning.